BRINKVISION RELEASES THE CRITICALLY ACCLAIMED CREEPY THRILLER THE LOOKING GLASS ON VOD AND SPECIAL EDITION DVD NOVEMBER 19TH! on VOD and Special Edition DVD November 19th! 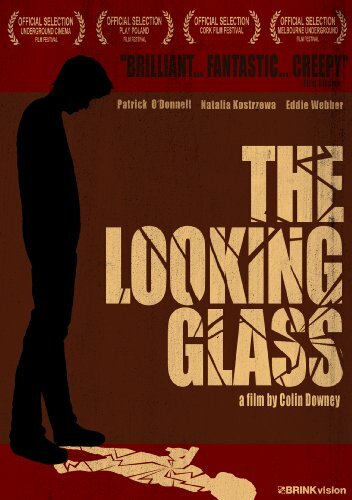 The Looking Glass is being called a new underground cult classic with a creepy atmosphere, brilliant acting from Patrick O'Donnell, and cinematography that is twisted to watch. A surreal thriller that follows Paul, a troubled young man who lives in a rural house with his pregnant girlfriend Claire. Paul's world is turned upside down one night when Claire's sinister, predatory mother, Agnes arrives at their house to visit. Paul is instinctively afraid of this witch-like woman who seems to know all of his darkest secrets and fears. Agnes begins to exert a malevolent influence over Paul's life, and one of her patients, a terrifying burn victim, begins to stalk Paul with murderous intent. The Looking Glass blends reality and fantasy, and interweaves Paul's adult journey with a parallel story from his childhood as his eight year old self. The Looking Glass is considered by critics to be top notch indy cinema, and director Colin Downey is the most exciting filmmaking voices today.